We have a responsibility to our community and our donors and work hard to ensure long-term sustainability of the organization. Read through our annual report and if you are compelled to donate, visit our donate page. 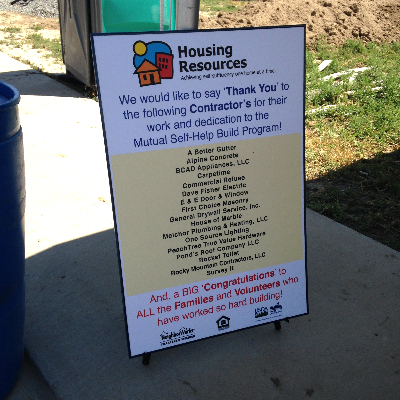 Housing Resources is very grateful for all of our Partners, Donors and Funders! 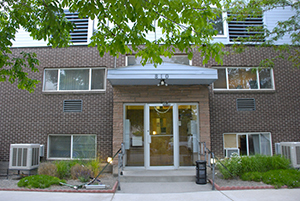 Without you, we would not be able to help the families and individuals that come through our doors. Do you want to build your own home but think you can't afford it? 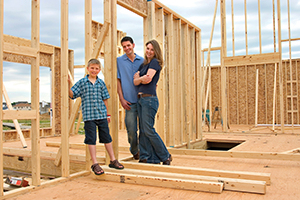 Use your labor building the home as the downpayment. Do you own or rent your own home and need help getting it ready for winter? 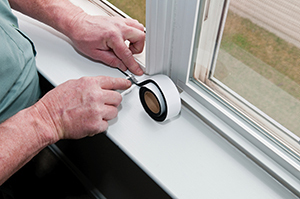 Weatherizing a home can save you money and help keep your home cool in the Summer and warm in the Winer. Do you own your home and need assistance repairing it? 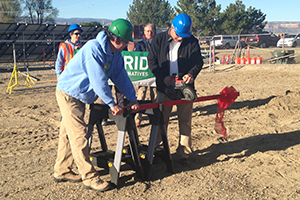 We are now serving Mesa and Garfield Counties with this program! We have several properties that my fit what you are looking for. 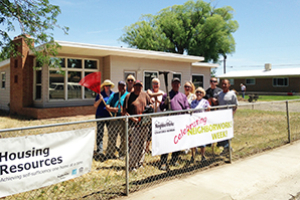 See how you can volunteer with Housing Resources. Volunteers make a HUGE difference!